The SILI ZYG marine hydrophore unit or hydrophore system is designed to fulfill the request for fresh water or sea water on board of sea-going vessels and offshore rigs. The systems are complete with electronic control and monitoring equipment to measure the water quality, and counters to measure water consumption. All connections are on one side, which decreases costs and eases installation on board; the units are completely wired up and tested beforehand in our workshop. 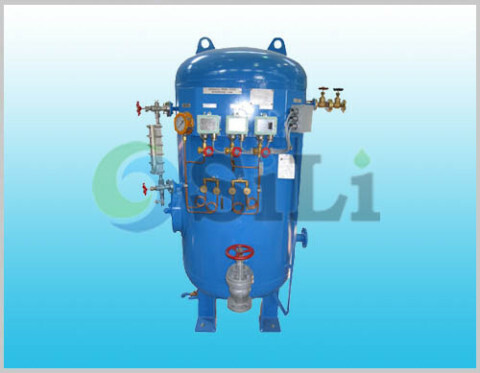 It is also called pressure water tank system. for both sea water and fresh water in marine purpose. 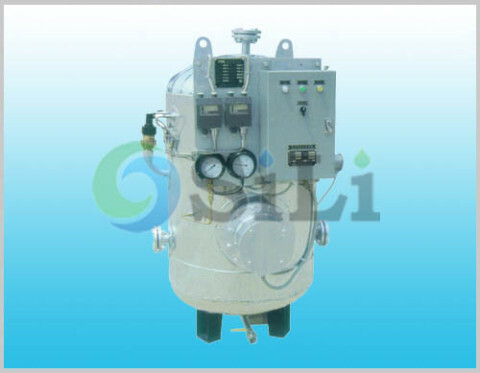 Refer to more details from the ZYG marine hydrophore unit catalogue. 1). close the valve in air sides, and open the flush valve, to check and flush the pipe connected with the water, and then close the valve in water sides. 2). open the valve in the air sides, to check and flush the pipe connected with the compressed air. 3). close the flush valve, and open the valve in water sides, to check the water level in normal position. compressed air charging into the tank. 1). manually start the service pump, to deliver water into the tank, stop the pump until the working pressure, then close the outlet valve, to temporarily stop the water supply. 2). adjust the compressed air pressure to 0.1Mpa higher than the working pressure, open the air charge valve, to charge compressed air into the tank. 3). drain the redundant water through the drain valve, when the pressure reach the tank working pressure, and the water level is in the full position, close the air charge valve and drain valve. 4). if charge too much air, it can be discharge by the valve upon the tank. 5). put all valve in normal condition, and pump in automatical service position. –Model: CLH or CWX or WZ marine centrifugal pump. CWZ and WZ with self-priming function. 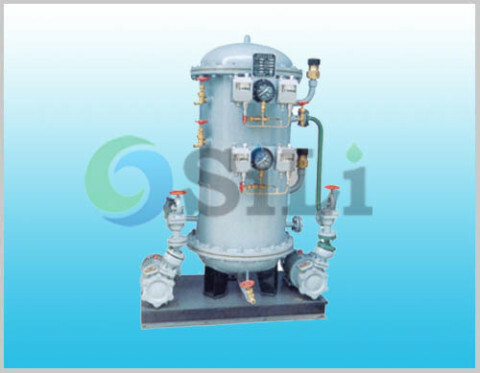 –Accessory: all necessary connection pipes, elbows, flanges and valves, Full system installed on sides a customized base pressure controller(sensor), pressure air charge valve, safety valve, drain valve and so on. Standard supply range: including two pumps, pressure tank, common base, and all standard accessories. Suggested min spare parts for pump: 3 pcs of mechanical seal, 1 pcs of impeller, 1 pcs of shaft, 1 set of bearing, 6 pcs of O-ring. Certificate of classification society available: ABS, BV, CCS for the tank and pumps.